Group 1850 was one adventurous rock bands of The Netherlands in the late sixties. Agemo’s Trip to Mother Earth and Paradise Now were two of the best albums ever to come out of the Dutch psychedelic era. Over the years their reputation grew, especially internationally. In the frequently changing line-ups of the band, vocalist and multi-instrumentalist Peter Sjardin was the only constant factor. This is the quest for a unique talent that managed to stay a mystery for all his life. Mid-sixties Dutch musicians used to look sharp while performing. Jacket, tie and shiny shoes. And a deep bow after each song. Amidst all this politeness the band from The Hague, led by young musician Peter Sjardin looked out of place. It already started with the band name: The Klits. Indeed, it refers to the female anatomy. Shows were theatrical experiences, that often cumulated into total chaos and anarchy. In the beginning of 1966 The Klits morph into Group 1850 (also Groep 1850). The band, besides Peter Sjardin, then consists of Daniël van Bergen on guitar, Ruud van Buuren on bass and Beer Klaasse on drums. The band introduces itself in a fitting way. During their first show, in the Casino in The Hague, Peter Sjardin smashes his beloved organizer to shreds. Group 1850 has established itself. His artistic revenge came 1968, with the debut album ‘Agemo’s Trip to Mother Earth’. The mind-blowing combination of pop, rock, psychedelia and nursery rhymes is groundbreaking, certainly to Dutch standards. Hans Wesseling made some important contributions to the lyrics. The music free of any limitations still manages to amaze, even almost half a century later. It is also the first concept-album by a Dutch band. In 1967 and 1968 the band played a lot of shows, in Holland and abroad. Group 1850 shared the stage with major acts like The Kinks, The Rolling Stones and The Troggs. At the end of 1968 the line-up falls apart. Beer Klaasse blames it on Peter Sjardin’s increasing consumption of drugs after his move to Amsterdam. Hugo Gordijn persists that Group 1850 was drained ruthlessly by Golden Earring-manager Freddy Haayen, who needed musicians for The Boots; a new band for his protege Jack Eckhardt. In Amsterdam a new line-up of Group 1850 emerged, with bass player Dolf Geldof, drummer Martin van Duynhoven and guitar player Dave Duba. Daniël van Bergen rejoined after six months. The way Peter Sjardin recruited new bandmembers was as unconventional as his musical ideas, experiences Dolf Geldof. In the first half of the seventies Group 1850 largely disappears from the public eye. They regularly do shows, but no new music is released. In 1975 a new studio album sees the light of day: Polyandri, a surprisingly good album with Golden Earring’s Barry Hay and Hans Dulfer as guests. It is a last sign of life. Shortly after the band calls it a day. Group 1850 goes in style, Dolf Geldof. In 1981 Peter Sjardin reappears briefly with a new band: Sjardin’s Terrible Surprise. An edition of 1000 copies of the live-lp: Live 1 is released. The former revolutionary tried all too obviously to compete with Herman Brood (a Dutch rock’n roller, whom was very popular in the Netherlands at the time) with a nervous sounding kind of rock, including female background vocals. Nothing came of it, ironically the girl singers re-appear in the band of Herman Brood. Over the same period a solo-album of Peter Sjardin was planned, Changes. He played all instruments by himself: percussion, guitar and keyboard. The recording came from the late seventies, 1978 according to some sources. The title song is based on a Group 1850 song ‘Verandering’ (change in Dutch) that had been composed in the late sixties, But doesn’t appear until 1975 on the Group 1850 album ‘Live’. Changes was never officially released and the reason for it has gone in the mist of time. Could it be a business conflict with the Frysian label Universe Productions and the artist? Was something wrong in the pressing? Did the record company have other reasons to reject this production? When I ask Peter about it in 2011, his reaction was one of complete surprise. He seemed to have totally forgotten he ever made the album. It was clear to me that further questions on the subject would be pointless. The musician clearly had no idea what I was talking about. After the flop of Sjardin’s Terrible Surprise Peter Sjardin disappears once again. In the following thirty years, he is not seen or heard of. Where could he be? How is he? The scarce bits of information that leak out, give reason for concern. He was heavily into drugs, some said. He would be involved with organized crime, according to others. Other rumors suggested he still lived in Amsterdam, in a dark and barricaded basement in De Pijp (a quarter in Amsterdam). In the fall of 2011 I did all I could do to find him. All trails led to a dead end. His brother Frans hadn’t spoken to him for many years. Same with Hugo Gordijn. Former bandmembers like Wouter Planteijdt, Beer Klaasse and Dolf Geldof also lost touch years ago. I stumbled on badly maintained accounts on Hyves, Linkedin and MySpace. Messages through these sites remain unanswered. A phone number I found on one of them appeared to belong to a district nurse in the east of the country. Other phone numbers were no longer in use. Contacts with local authorities were fruitless as well. I did get an address where he lived recently. One sunny autumn day knock at the door of a building in an old part of Amsterdam. It looks like there had been a big fire recently. Builders that are having a lunch break, don’t know anything about the previous tenant. Neither does a neighbor, a young female student. Peter Sjardin seems to have vanished from the face of the earth. In the beginning of 2012 I report of my queries in the magazine Lust For Life. I accepted that further research would be without results. But it is this publication that leads to a surprising break-through. It was read by someone who knew of the whereabouts of Peter Sjardin at the time and hands me over the essential details. The man is prepared to mediate between us for an interview: The first Peter Sjardin will do in more than three decades. It proves to be hard to make a definitive appointment with Peter. It becomes obvious that the musician, with his girlfriend, lives a self-chosen isolated life. It seemed hard to let someone into his own little universe. The first appointments got canceled. ‘To busy”, his girlfriend and self-aclaimed manager Titia explains a few times. ‘We are not up to it yet’, is another excuse. Weeks go by. Until one Saturday afternoon I am face to face with man I have been obsessively searching for. I decided to ignore a voicemail that suggested to delay the meeting once again. Peter Sjardin welcomes me all the same. With his young girlfriend he lives in a shelter for people whom are homeless after a fire. It is the second time Peter had to rely on such a shelter. He looks fit and moves brisker than you’d expect of a 65-years old. His speedy energy is nothing compared to the stream of words that starts to flow and seems to be unstoppable. He tries to answer my questions, but he usually floats away after a few words. Peter starts to ramble about the purpose of proper ventilation, the advantage of a manually pulled boat over an airplane (‘you have time for one and other’) and a revolutionary weapon that consumes all plastics in the world. Peter Sjardin is like a television that switches channels all the time. Fascinating and inimitable. The questions don’t seem to get through to him, partially because his hearing abilities seem to have diminished. That’s also the reason I dislike rehearsals. “When you’re good everything will fall on its place on stage. Just as in the studio”, according to Peter Sjardin. That’s how the album Paradise Now was created, one of the masterpieces of Group 1850. In the early days he cooperated with the famous Dutch producer Hans van Hemert, a past of which the musician has bittersweet memories. Peter Sjardin Doesn’t seem to hear that. Peter Sjardin tells there might be a more serious reason for his disappearance. From what I understand of his ramblings, he was one of the first victims of identity theft. Thanks to an inheritance he had become a wealthy man, but the money vanished because of a British criminal who stole his identity. Peter Sjardin and his girlfriend are waiting for a new house to be assigned to them. Then they will continue what they were working on before they were brutally interrupted. Halfway the interview he sneaks behind his keyboard. He improvises skillfully. Sound comes from all corners of the room. Yet, the master in not satisfied. The equipment is not well adjusted yet. Would I come back in a few weeks, for a real show? – he asks. This interview also had an unexpected follow-up. It broke Peter Sjardin out of his isolation. He got in touch with manager Hugo Gordijn again as well with some of his former bandmembers. In November 2014 he appeared with his girlfriend and manager at the ARC record fair in Utrecht when a repress of Paradise Now was presented. There was even talk about a comeback: on a keyboard bought by Hugo Gordijn a rejuvenated Peter Sjardin started to work on new music and there was even talk of a comeback to the stage. It’s sad that this all wasn’t meant to be. On May 16th, 2015 Peter Sjardin dies suddenly of a heart attack. The loss is memorated by many on social media, but the death of one of the greatest talents and most colourful persons of Dutch pop music is completely ignored by the Dutch national media. It is telling that in the years since he got honored with extensive articles in foreign media instead, like in the American Ugly Things and the British Flashback magazines. His name lives on also thanks to connoisseurs worldwide. Especially the first two albums of Group 1850 are treasured by fans of European psychedelia, And quite rightly so. 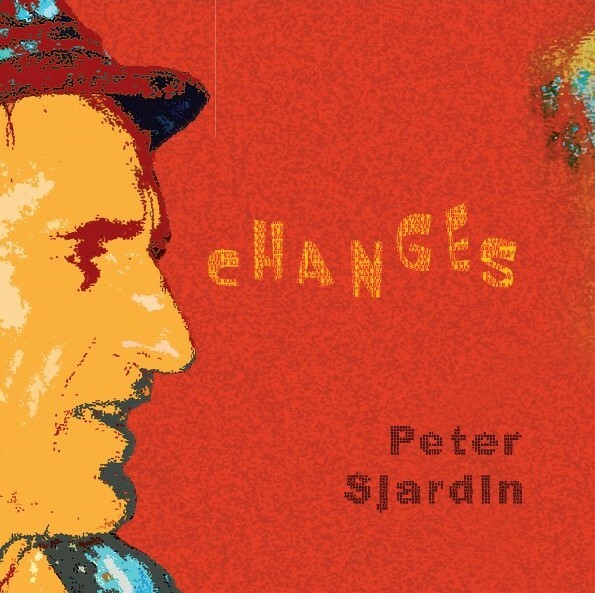 Peter Sjardin may be dead, his music lives on.